The use of specialty products based on yeast polysaccharides and/or vegetal polysaccharides is by now part of modern oenology. 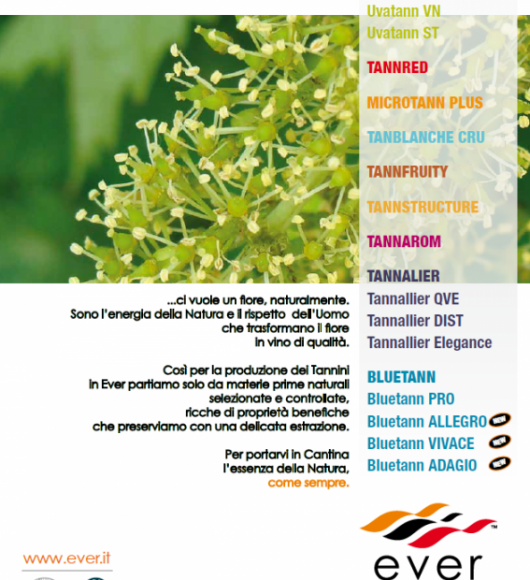 This technique takes advantage of the antioxidant properties of glutathione, the capacity of free manno-proteins to bind aromas and anthocyans and that of other polysaccharides to give fullness, volume and organoleptic longevity, as well as participating to the physical-chemical stability of wines. 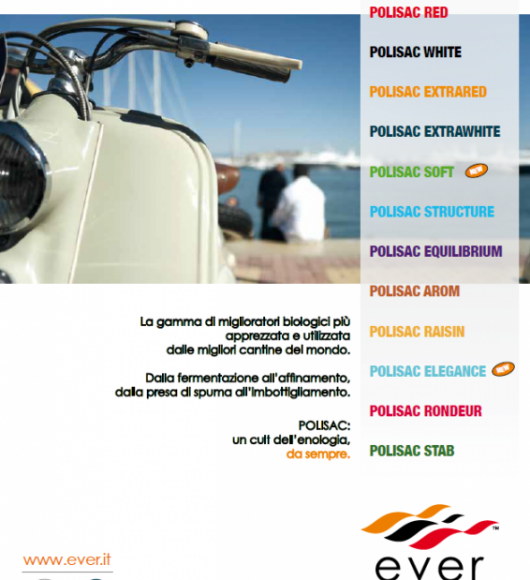 EVERINTEC with POLISAC® and SAVOURY offers to the winemaker a full range of specific products, of high-quality and also best recognized in the market for the different needs: from vinification, to refining, to pre-bottling treatments. 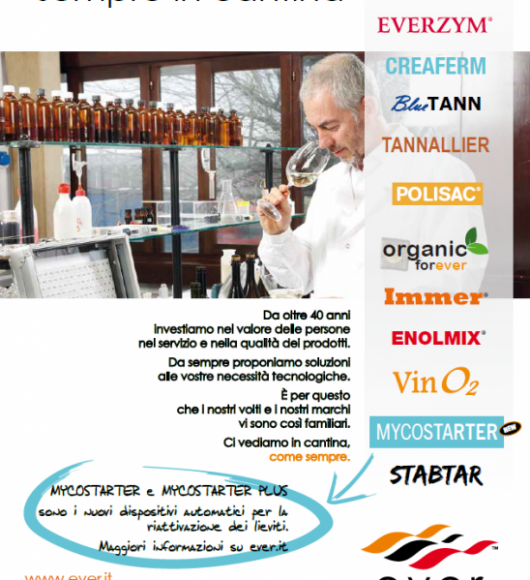 For the correct management of these technologies, EVERINTEC proposes VINO2, the new macro-micro oxygenator, realized after many years of experience and with the electronic innovation of its new oxygen dosage system.